In semiconductor technology, silicon oxide layers are mainly used as dielectrics and more recently for MEMS (Micro Electro Mechanical Systems) applications. The simplest way to produce silicon oxide layers on silicon wafers is the oxidation of silicon by oxygen. The growing of a silicon oxide layer on the silicon surface can be processed by high purity dry or wet oxidation. During these processes, the silicon is consumed and the interface moves into the substrate. Dry oxidation takes place at temperatures from 850-1200°C and is carried out rather slowly but with good evenness. Thick oxide layers can be produced by wet oxidation (the growth rate is significantly increased). The thickness of SiO2 starts from 15 nm up to 3 µm. This thermal oxidation is made on the two faces of the wafers (from 2" up to 6"). Sil'tronix ST owns its furnace which allows to add SiO2 thermal oxide with an exceptional quality and low roughness (less than 3 Angstroms RMS). k is very low (10-6). It means a transparent layer in the visible range such as pure SiO2. With more impurities, the mid-gap states would be higher. n shows no defect. Due to the similarity between n and k, the SiO2 measured has almost no porosity. The thermal oxidation is made on the two faces of the silicon wafers. In order to get only one side oxidized, an additional protected resin is deposited on this side. The opposite one is dissolved in BHF. As the thermal oxidation is made by run of 25 or 50 wafers and the dissolution is made wafer by wafer, double and single side silicon oxide wafers can be purchased in the same batch. In addition, single side silicon oxide wafers can be produced through other processes, particularly LPCVD or PECVD. Within these processes, the formation of the silicon oxide is achieved by the introduction of two gaseous vectors (one for Si and one for O). In this case, there is no consumption of the silicon wafer. In semiconductor technology, silicon nitride layers are used as dielectrics, passivation layers or mask materials. Additionally, there are several applications in micromechanics, for example as membrane material. LPCVD nitride can be easily deposited on silicon wafers in a reproducible, very pure and uniform way. This leads to silicon nitride layers with good electric features, very good coverage of edges and high thermal stability. PECVD nitride allows a faster deposition, which therefore allows thicker layers. Stoichiometry and stress can be adjusted. Edge coverage is good and etch rates are comparatively high. PECVD Silicon nitride wafer is very suitable for passivation layers. Due to different lattice parameters of silicon wafers and silicon nitride layers, tensions in deposited layers can occurs. Tension in the silicon nitride layer can be modified by various items: temperature or ratio between Si and N gaseous vectors. The process can be adjusted, it means that the silicon nitride is almost stress free. 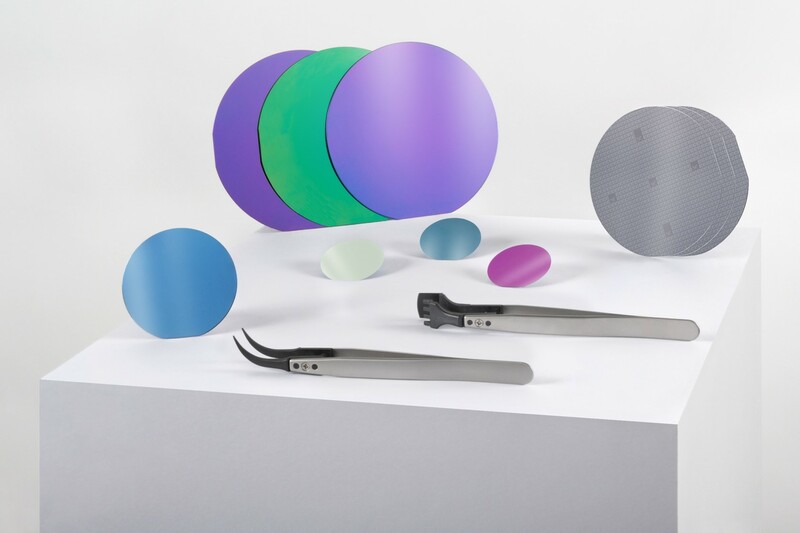 These silicon nitride wafers are well suited for micromechanical applications. Sil'tronix ST manages these whole parameters in order to provide the product you are looking for. Options such as nitridation on metals (Al) or metallic deposition on silicon oxide is possible.